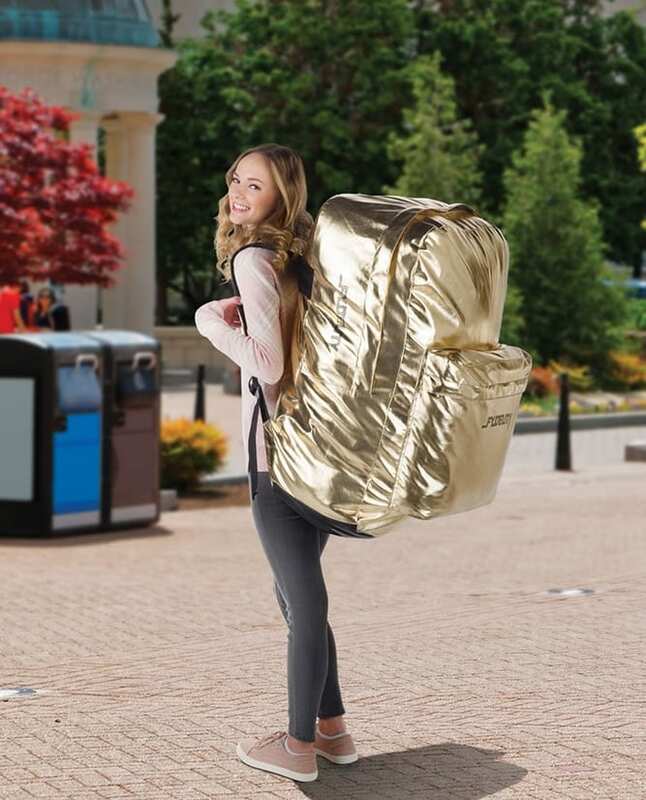 This is the oversized backpack that saves one from having to pick and choose which items to pack or leave behind. At 2 1/2′-tall, the backpack features a generous main compartment that measures 6 1/2′ cu.—larger than a standard mini-fridge—that fits an average person’s entire wardrobe, overnight accommodations such as an air mattress, comforter, and pillows, or a private library of encyclopedias. Two additional exterior zippered pockets hold electronic devices such as an iPad or laptop and a plethora of everyday essentials or personal items. With double stitched seams, adjustable padded shoulder straps, and a carrying handle.